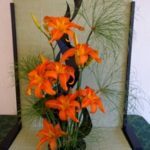 The Wizard of Oz daylily show was staged on a near perfect July 11, 2016 day. 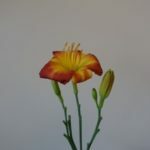 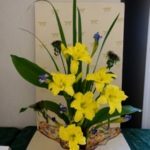 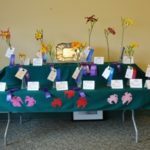 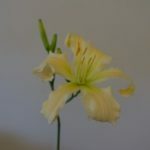 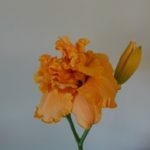 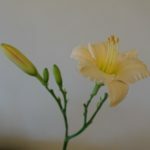 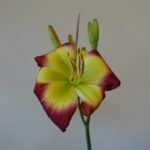 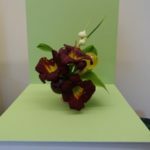 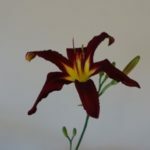 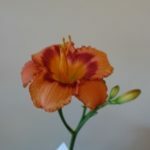 Although it was past peak bloom for most members, 40% of the daylilies entered won blue or purple ribbons by scoring 90 and 95 points, respectively, out of 100. 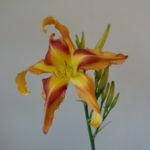 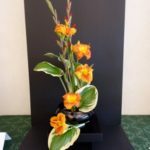 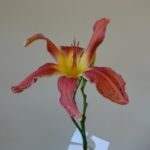 Twenty eight members volunteered for Show Committee work and 11 members entered 96 on-scape daylilies and 13 members entered 71 off scape daylilies. 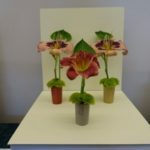 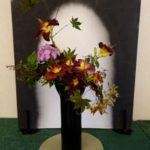 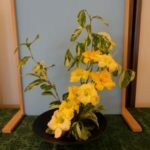 Three prospective new members entered flowers in the show and helped greet the public. 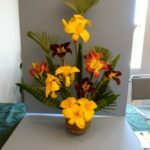 Six members of the Serendipity Garden Club, our cosponsor this year, participated with MCDS members to design 16 flower arrangements. 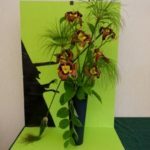 The Tri-Color award was presented to Antonio Garabis who used H. Teddy Bears Picnic (Moldovan, 2005) for his whimsical interpretation of “The Wicked Witch of the West” design. 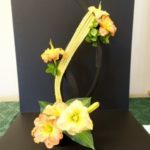 Lynn Fronk’s granddaughter entered a design in “The Lolipop Guild” class. 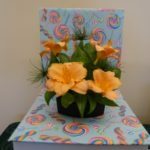 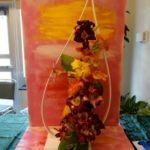 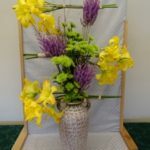 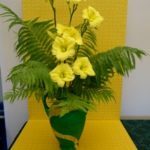 Beth Veldey organized an off scape display of daylily blooms and distributed ballots to visitors who voted on their favorite flower in the downstairs area. 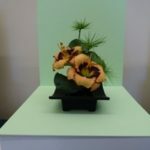 Over 120 visitors participated in the voting and many others walked through the show taking notes. 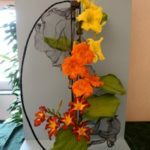 Congratulations to the official winners of the 2016 show!